Game 1 at the Honda Center is scheduled for a 7:30 p.m. puck drop on Thursday. 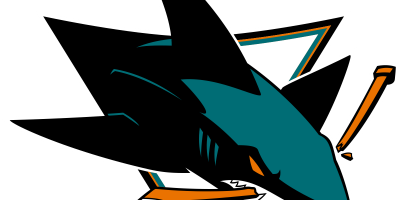 Having missed the playoffs only twice this millennia, Lord Stanley’s Cup has eluded a Sharks franchise that has finished multiple seasons in the top three of the Western Conference since 2000. 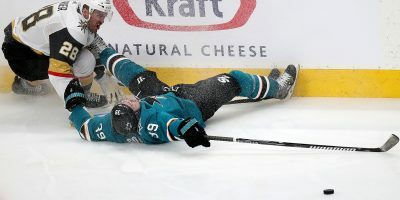 San Jose relied on their defense, which finished ninth in the NHL with 226 goals against, ended the regular season on Saturday with a 45-27-10 record having lost five of six after ascending in the points column for the better part of the past two months. Head coach Peter DeBoer, who took over after current Edmonton Oilers head coach Todd McLellan and the Sharks mutually agreed to part ways in 2015, orchestrated a 100-point season for the franchise’s second time since a string of five-straight such finishes came to an end in 2012. San Jose finished one point behind the Ducks (101) in the Pacific Division, thus one point shy of home ice advantage. But, the Sharks do enter the playoffs having beaten Anaheim three out of their four games played, including both played in Anaheim. Three of those matches ended in a shootout, however. The Sharks beat the Ducks convincingly, 6-2, back in January on the road where they will have to do it again to prove on Thursday that the regular season was no fluke. 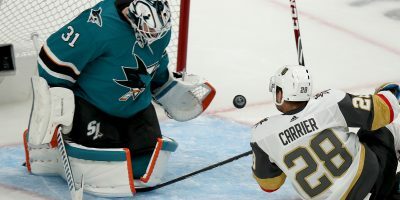 San Jose will need every point in this series as they will try to score against Anaheim goalie, Ryan Miller, who finished fifth-best in the NHL with a save percentage of .928. 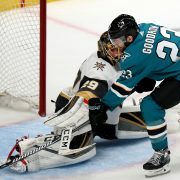 The two first-round opponents finished second and third in the Pacific Division, behind the Vegas Golden Knights (109), and the Sharks themselves have a weapon on defense between the blue and red lines in defenseman, “Sharks Rookie of the Year,” Joakim Ryan. 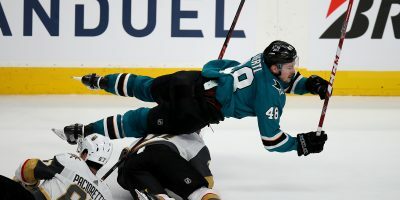 Ryan was selected rookie of the year in a vote by Bay Area media after finishing with a team-high plus-minus differential (plus-13), ahead of Joonas Donskoi (plus-10) and fellow defenseman Marc-Edouard Vlasic (plus-9), joining teammate Logan Couture (2011) in winning the award. 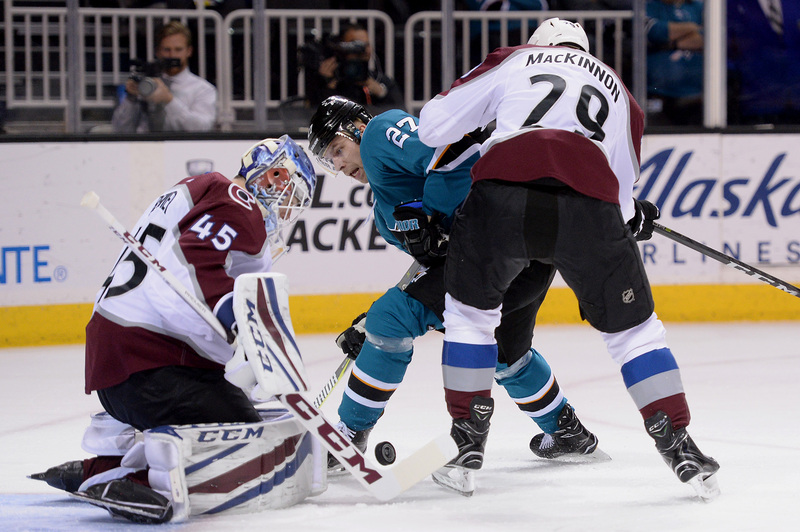 His 98 blocked shots are the most by a Shark since Vlasic accomplished the feat in the 2006-07 season. Add in flamboyant left wing Evander Kane, who was acquired from the Buffalo Sabres at the trade deadline and leads the team in goals (9) since joining the Sharks, and the Sharks should be ready to take a big bite out of the playoffs in the first round to potentially advance.